Your resume is your most important job search tool. In today’s competitive job market, you need to craft a resume that stands out from the crowd. The tips below outline how to create a resume that gets results. For more resume how-to tips, review these 10 resume mistakes. Unless you’re a seasoned professional with many years of experience, keep your resume to one page. It will force you to highlight your best qualities and experience rather than burying them in a sea of details. If you’re short on space, you can adjust your font, margins, and format but leave plenty of white space to promote readability. Don’t include references; employers will ask you for them if they’re interested. If you have plenty of experience, a two-page resume is acceptable. “I think two-page resumes can be effective in conveying your personality and extracurricular uniqueness that is lost in a traditional one-page education/employment history resume,” says Brian King, a partner at a mid-size Pittsburgh law firm. Busy hiring managers will pass over a resume that is sloppy, poorly formatted or full of grammar and punctuation errors. Proofread carefully, use headings and bullet points to break up text, use consistent fonts and make sure margins, bullet points and indents are cleanly aligned. The legal industry is ultra-conservative so don’t get too creative with your resume presentation. Avoid colored paper, colored ink, crazy fonts, and unconventional formatting. Organizations are not merely seeking qualified applicants that possess the required skills and experience; they want someone who is interesting and fits into the organization’s culture. “I like a resume that is interesting, offbeat and quirky,” King says. “I want to know what life experiences you’ve had that may be outside the traditional work and educational experiences that are going to make you a productive contributor to the firm. I don’t want to know that you like reading, movies and exercise. To narrow the pool of qualified applicants, busy hiring managers scan resumes for keywords and phrases. As electronic submissions become more common, some organizations digitally scan your resume for keywords. The job description and help wanted ad can provide important clues to what words and phrases to include in your resume. 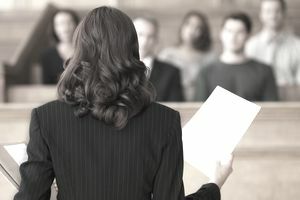 For example, if the ad seeks a legal secretary with five years litigation experience in a fast-paced law firm and expertise in Juris, your resume should mention your litigation and law firm experience as well as your proficiency with Juris. Technology skills are vital in nearly every legal position. List any technical skills you possess as well as proficiency with legal software programs that are crucial to your position. For example, legal secretaries might mention proficiency with Microsoft Word, Excel and time and billing systems; associates might list Westlaw, LexisNexis, and other legal research platforms. In this age of electronic submissions, it’s tempting to write a simple “my resume is attached” e-mail to prospective employers. However, a cover letter is another tool to help sell you as a candidate and set you apart from the sea of applicants. A detailed cover letter that sells your skills and outlines how you fit the position will encourage the employer to give your resume a glance.